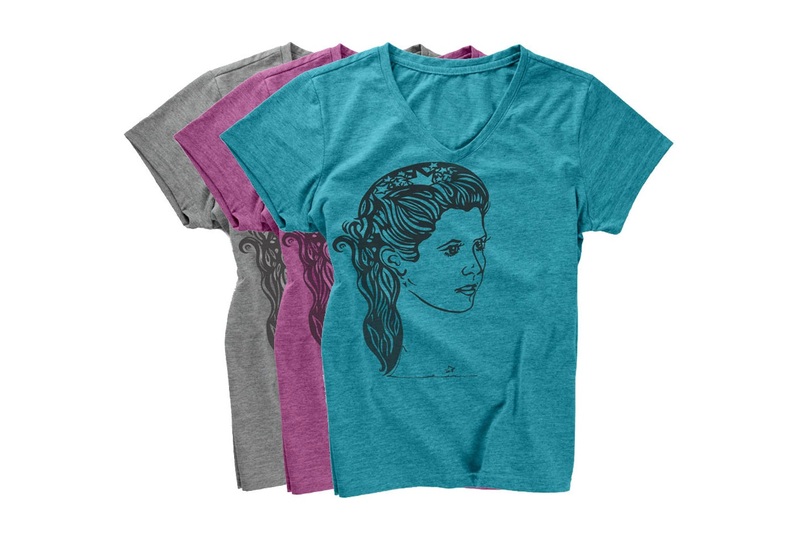 This beautiful women’s Star Wars Princess Leia t-shirt is available from Etsy seller Go With Music. 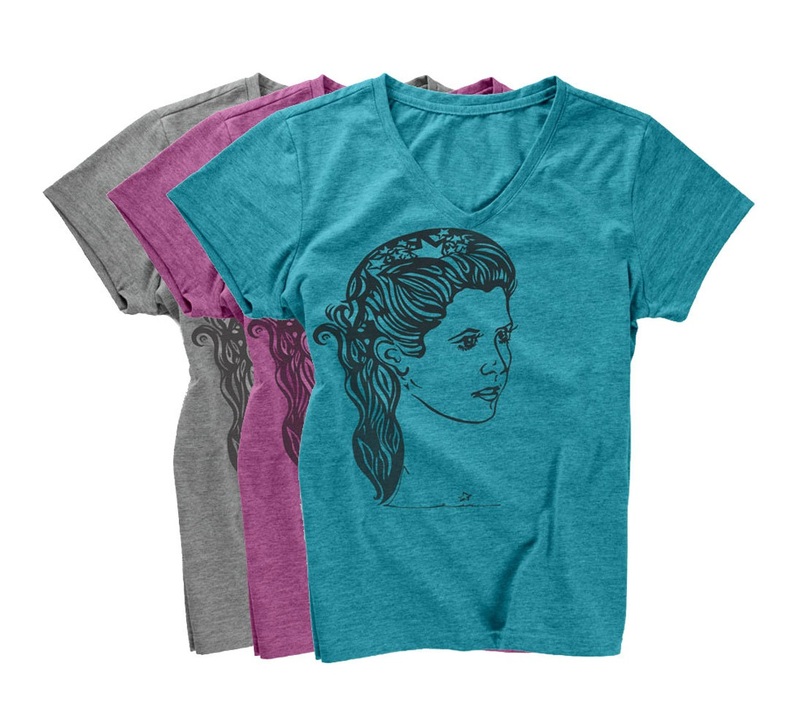 The t-shirt features original artwork of Princess Leia with stars in her hair, in a lovely tribute to actress Carrie Fisher. The artwork is available on a variety of t-shirt styles, including women’s v-neck t-shirt and women’s slim fit t-shirt. Each t-shirt style is also available in a number of colour choices, which is great! 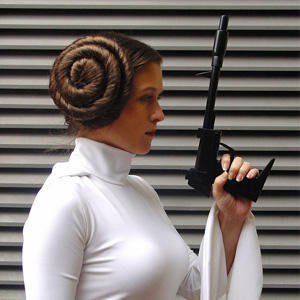 Rest in Peace Ms Carrie Thank you for our childhood memories. The design is available in two different women’s t-shirt styles (v-neck and slim fit), and is priced at US$14.99 to US$15.95 each – Etsy seller Go With Music can ship internationally. Photos sourced from and belong to Etsy.